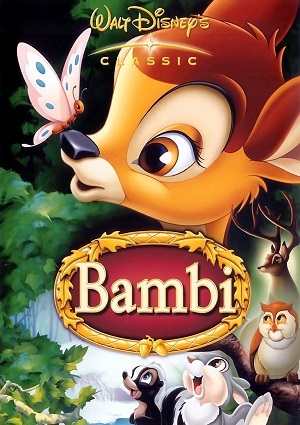 Bambi is the soon of the deer that is the Great Prince of the Forest, but until that time comes, he has to grow up. He is very close both to his mother and an energetic rabbit called Thumper. During the next winter, a deer hunter, leaving him alone, murders Bambi’s mother. A few years later, Bambi starts feeling curious about does, specially a friend of his named Faline. But a wildfire starts on the woods and the animals have to run for their lives once again.